Only a 5-minute walk from Tiantandongmen Subway Station, Ibis Beijing Tiantandongmen Metro Station Hotel offers simple budget accommodation in Beijing. It is a 20-minute walk from Temple of Heaven. Free WiFi is available in all areas. The hotel is a 14-minute drive from Qianmen Street and 25-minute from the Forbidden City. It is a 17-minute drive from Beijing Railway Station, while Beijing Capital International Airport is a 50-minute drive away. 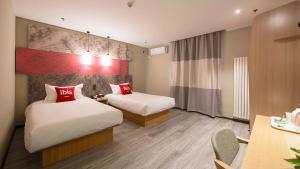 All rooms are equipped with air conditioning, a cable TV and electric kettle. Private bathroom comes with a shower. 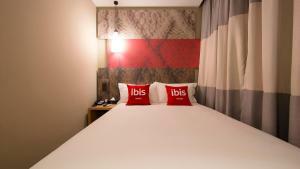 There is a 24-hour front desk at Ibis Beijing Tiantandongmen Metro Station Hotel. Цена: CNY 341.00 ... CNY 474.00; select dates below to get current rates.